Hiring a UI designer is an integral part of seeing your product come to life. This step gives you the opportunity to evaluate how your product works as well as how it will eventually look and feel. Although challenging, it is an essential part of your product’s journey as you define the best use of technology and explore how emerging trends and patterns impact your product's vision, along with the needs of its users. This article looks at understanding the key roles of a UI designer within your business, as well as the skillsets required to successfully build your product. 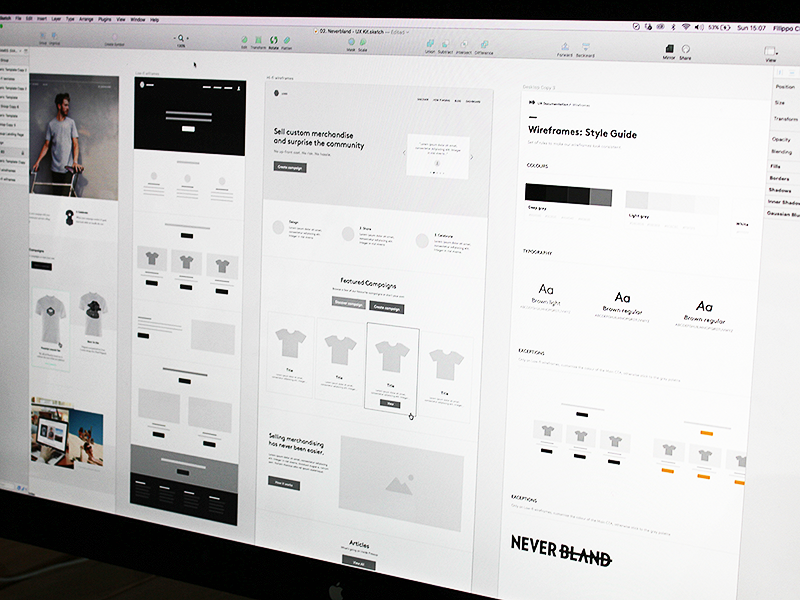 Working with a UI designer in most cases is an exciting period of a product’s journey. All the nuts and bolts start coming together and the intangible finds itself materializing into reality. But finding a great UI designer can also get tricky and in some cases difficult, especially when it comes down to defining a UI designer’s job description. Roles can get confused and the optimum outcome of a project’s deliverables and experience may invariably end up in a hard place to reach. In this article, we’ll take a closer look into what that genius involves as well as what the best possible journey into hiring a UI designer could entail, from personalities to portfolios, interview questions, and more. What Is a UI (User Interface) Designer? There are many hats a UI designer can be made to wear depending on the scope of a project and the scale of its organization. Fundamentally, UI designers are particular about how the information and components in a product are laid out as well as how they behave in relation to the users needs and interactions within their given device. 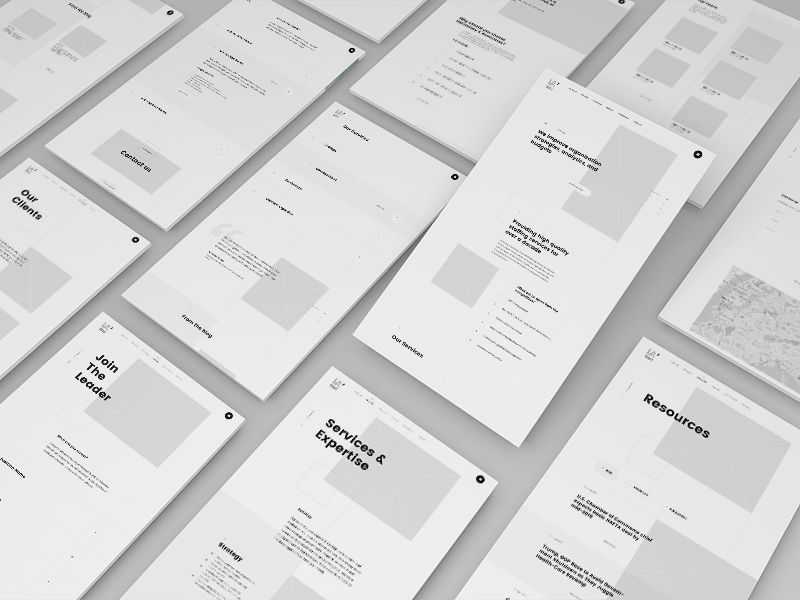 The UI section of a project’s build not only defines how best color, typography, media, shapes, and space play a part in the user’s journey with the product but also interprets the purpose and role of the product through emotional design. So considerations are many and content, context, audience, and culture as well as technical specifications and function are all the things whirling in a UI designer’s mind as they glue all the pieces together. Function comes before form, but form bridges that intention to reality, and herein the UI designer relays their genius in helping your users best connect and engage with your product. “Time waits for no man,” especially when applied to billings and the scheduling of resources. Everything has to be finished yesterday, and it couldn’t be more imperative that you get going as soon as possible. Once you have gone through the preliminaries and are ready to hire a UI designer, It is crucial to take a step back and look at what you have in order to get what you need for the successful delivery of requirements needed for your product to move along to its next stage. So Which Phase Are You in? 1. “I am right at the beginning.” - I am hoping to define a digital style guide and take my sketches into high fidelity wireframes/prototype to build an MVP for my startup. 3. “We are fixing and mending.” - We have an existing product and are working towards improving onboarding, sales, or product support, or we need to implement UI fixes based on a post launch UX audit. Developing a reliable brand is in itself a journey of its own. This process once conceived is ever evolving, but to start off, there are a few things to address physically from a production capacity aside from strategy and the greater brand machine that aid in producing cohesive product deliverables, be it for marketing, print works, or video and digital production. Having UX deliverables ready before taking on UI design is also essential. These would be working wireframes or interactive prototypes (see InVision), information architecture, or existing UI patterns that need to be improved. Depending on the complexity of your project, a UI designer may be able to wear two hats and work a UX/UI role. This brings us to our current subject, which is the place where thoughts and intentions take shape into tangible assets and start existing in physical space, in both tactile and emotional senses. In the case that you’re working on a proof of concept and are prototyping, then you can get straight to hashing out function and product requirements and addressing brand and user strategy once you have a clear direction for what it is you want to build, but if you’re moving into building a working product, then consider going through these three stages where you hire a UI designer as a standard to live by rather than as an afterthought. This helps manage expectations and time as well as mitigates scope creep in the sense that you won’t be using design as a punching bag to vet brand tonality or poor UX. If this is addressed as a crucial and separate line item to rolling out UI work, you will be able to put your UI designer in the optimum space to operate. Once you have gone through the arduous process of working out technical requirements, it is important to go through a chemistry session with your UI design candidate(s) and get on the same page. This phase of the hiring process means you’ll be evaluating UI designer portfolios, matching the experience and qualities that best suit your needs as well as forming interview questions that bring out crucial discussion points that lend a hand to bringing to the fold all the details that lie in the creases. The ability to design is one thing, but to truly succeed, you also need to hire a UI designer you can trust to defend your purpose and intent through the work they produce as well as have the experience to be able to best define and adapt to requirements and changes that are governed from true insight and led by shared values. There will be a lot of custodians in place, from technical to business as well consumers, it’s one thing having a genius, but if they have no connection to the product, customer, or colleagues, then your boat may end up in the docks. “Furthermore In regards to the challenges presented, what will you be most comfortable in taking on and solving?” This is a key takeaway, as most will only address their perceived strengths and it is crucial to also understand from the get go what they might not do well as well (in respect to time and resources) and mitigate those risks from the start. “How will you communicate best? Zoom, Slack, Skype, Trello, etc. ?” Always best to make the bed so that you are ready to kick off within the right channels. “What are you most excited about accomplishing with this project? Also Identify categories the project falls under so you all know what you’re getting into—Is it eCommerce, SaaS, Onboarding and Support etc.? At this point, you have defined what you need and who you would like work with in your product’s journey, so the next steps to recap and address are simple, although important to have bedded down. From this point forward, you’re good to go, and support is always around when you need to redefine terms or commitment lengths. Your matcher will be by your side to help and create the best experience possible along with your new UI design partner. A/B testing: A/B testing is a when you test two different versions of online content with users to see which one they prefer. Hybrid App: A hybrid app is one that combines elements of both native and web applications.